A range of locally-produced cosmetics, fragrances and hand-balm candles will be among the items on display at this weekend's Kwalita Malta event at the Malta Fairs and Conventions Centre, Ta Qali. 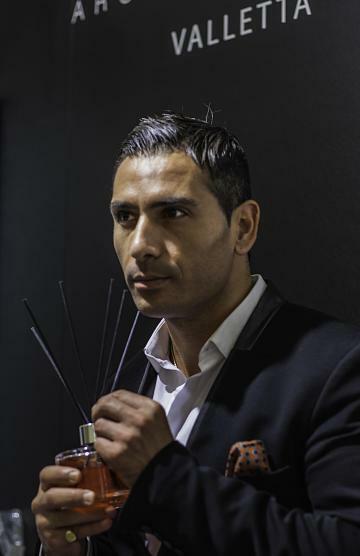 Gozitan entrepreneur and aromatherapist Stephen Cordina is renowned for having created a unique collection of products inspired by Maltese flora and other scents. This collection includes all-natural diffusers, hand-balm candles, pillow sprays, linen sprays and cosmetics, in fragrances including Valletta, Fenici, Ylang Ylang & Mandarin, and Rose & Citrus. In particular, it is Mr Cordina’s unique hand-balm candles, which melt into a moisturising body oil as they burn, that have become his flagship products. The Stephen Cordina Aroma & Therapy range, which is sold from the company’s own standalone store at The Point in Tigne', from exclusive distributors including Franks and the Corinthia Palace Hotel & Spa, and online at www.stephencordina.com, was established in 2001. It is a brand that has also become known internationally and is now sold in several countries across the world. “Our products are designed to smell fantastic, but also to be beneficial to our clients’ health,” said Mr Cordina, explaining that his use of essential oils helps to promote a sense of wellbeing. “Each production phase is built around quality control and a passionate belief in the beneficial effects of plant ingredients. “Kwalita Malta, as an event that strives for quality and excellence, is the perfect partner platform for our ethos,” he added. The second edition of the Kwalita Malta fair begins this evening and will run until Sunday November 13. The fair showcases Maltese products and services, with producers ranging from micro enterprises to SMEs and large organisations.